Governors were briefed by Justin Donovan, HCC’s Director of Education and Early Intervention. 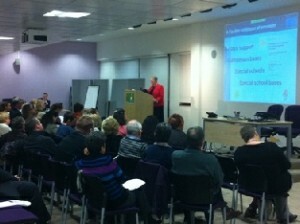 His talk included information about Herts for Learning, and the Thriving Families initiative. 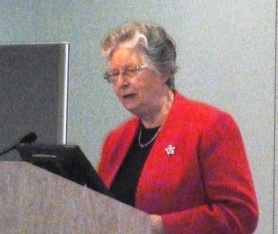 Dr Rona Tutt OBE (above right) spoke about developments in the area of Special Educational Needs (SEN). Slides from Justin Donovan briefing on current key developments February 2013. Slides from Rona Tutt’s presentation on SEN and disability February 2013.